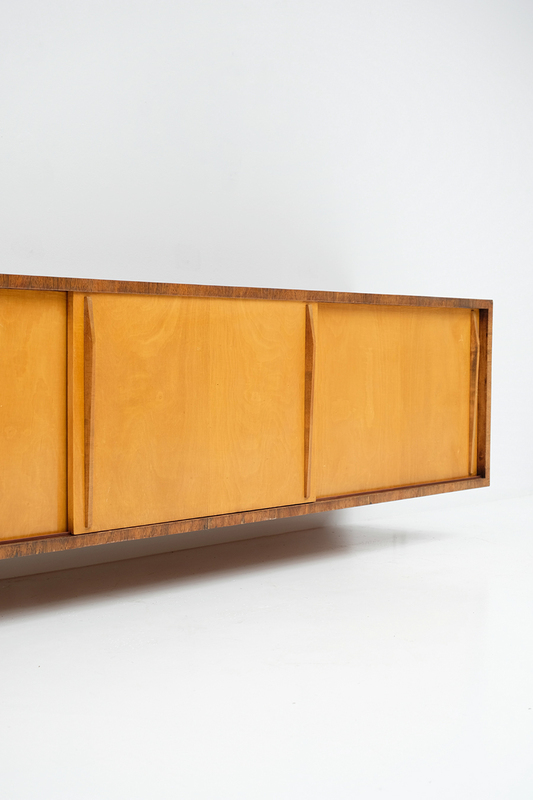 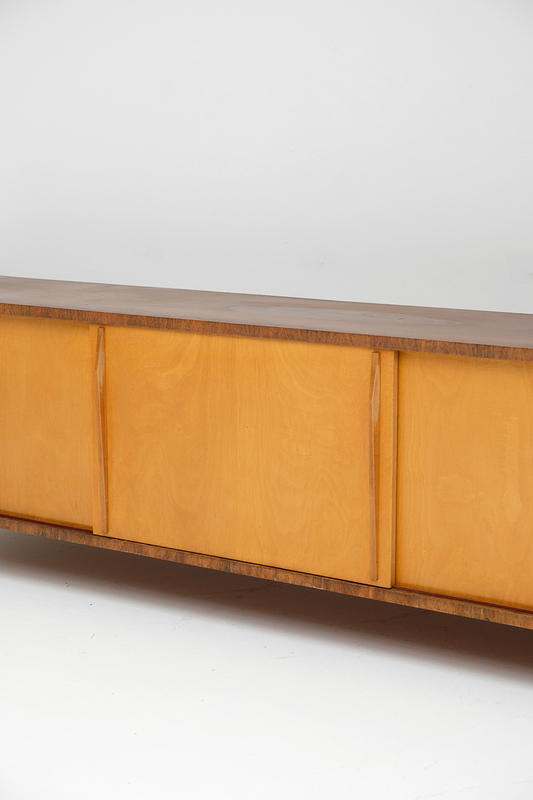 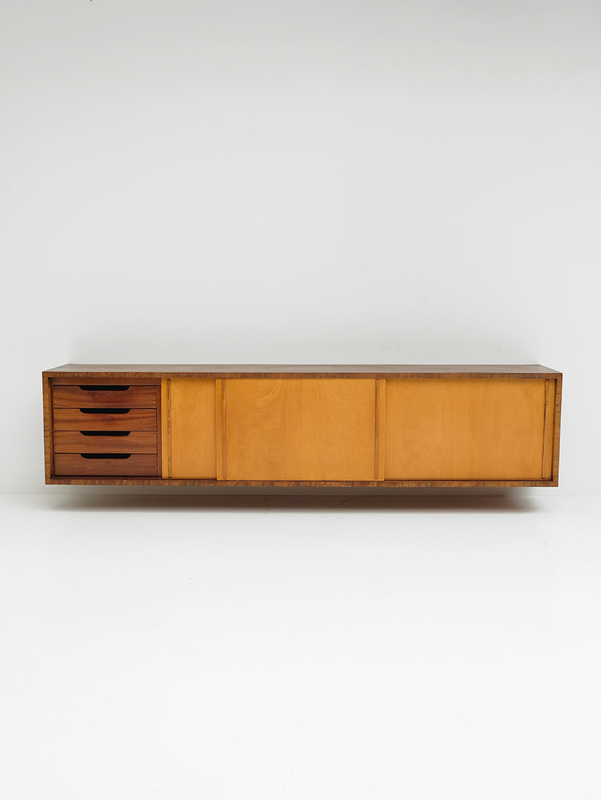 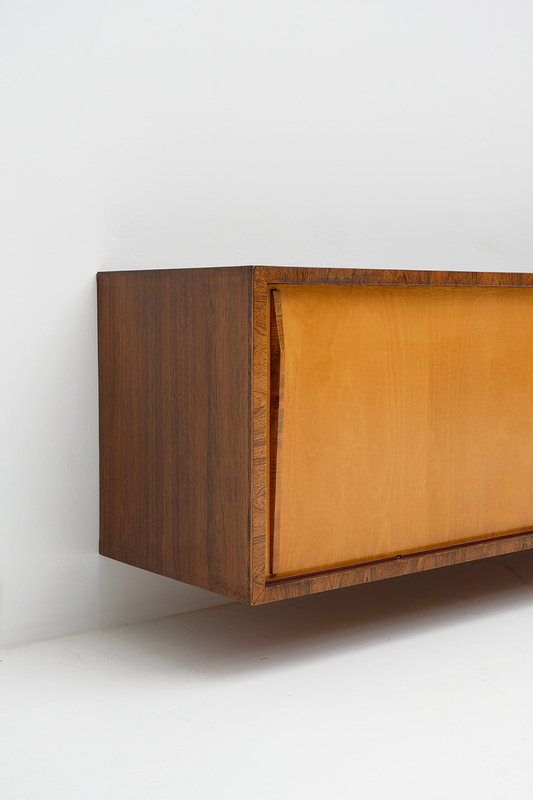 This one of a kind floating sideboard was designed by Lucien Engels in the early sixties. 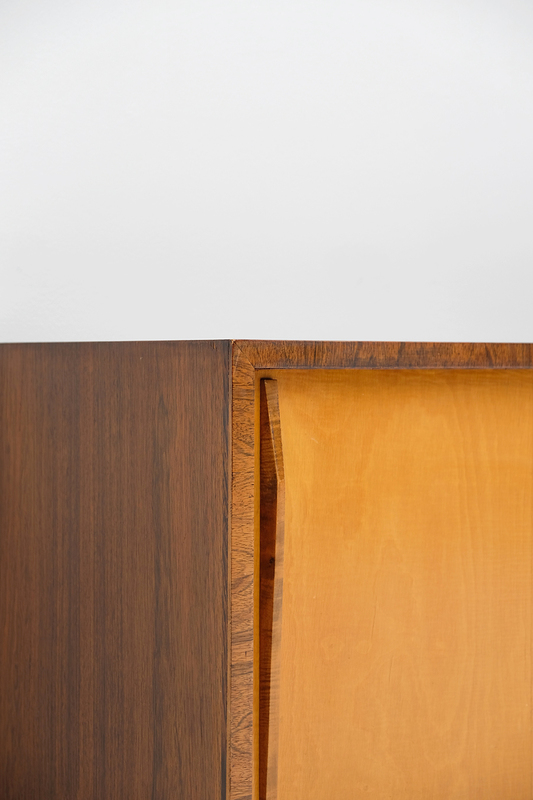 It has a stunning pattern because of its differed wood types. 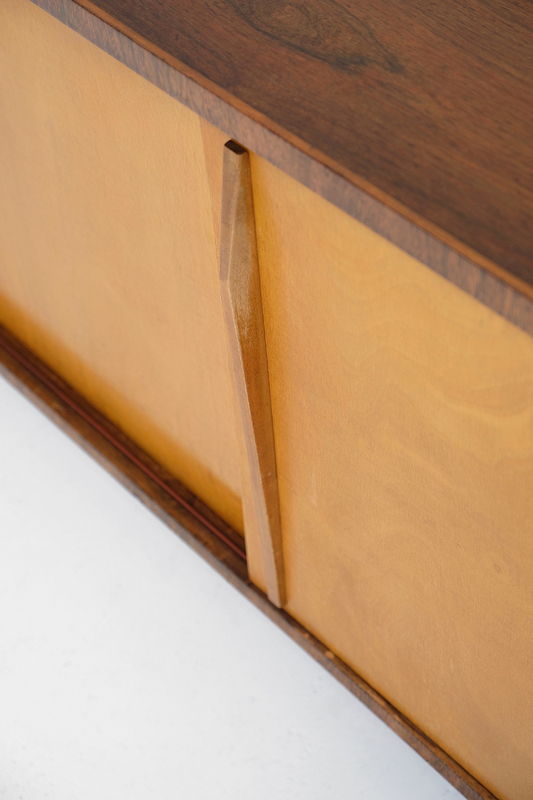 The doorhandles are very refined of design, a shape that often comes back in Engels architectural projects. 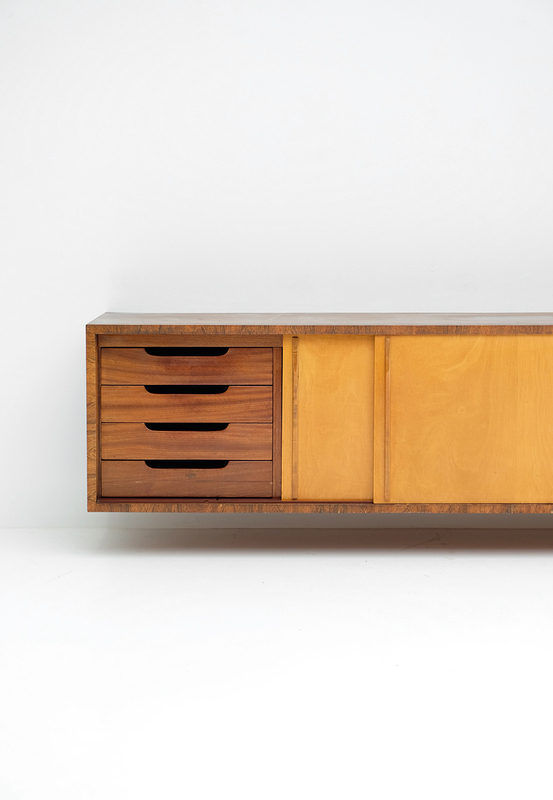 Inside, the sideboard contains a lot of storage space with many shelves and 4 drawers on the left. 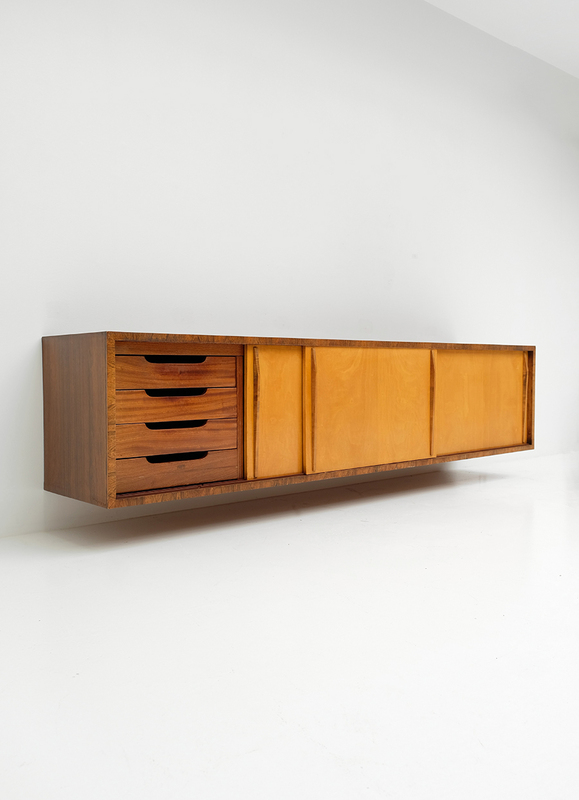 This item is one of a kind, I did found it in an architectural house that was designed by Roger De Winter and finished by Lucien Engels himself. 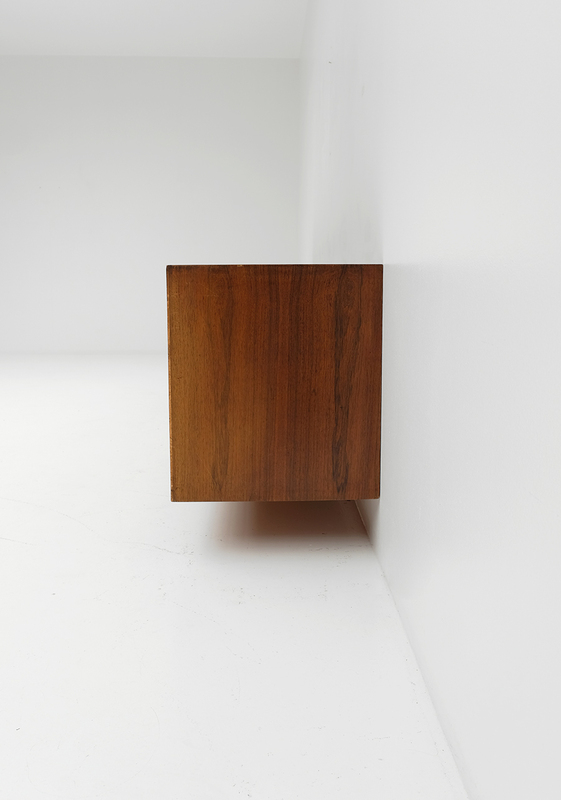 They worked on several architectural projects together, including this particular house. 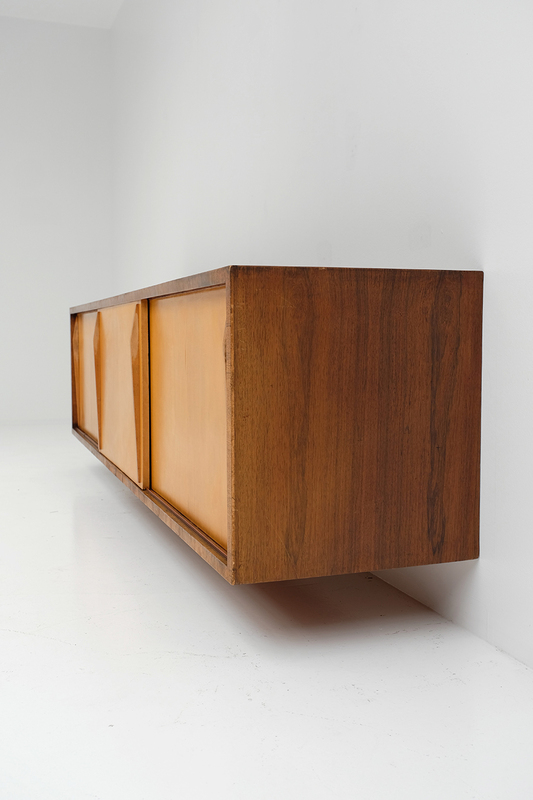 Archive pictures of this house are available on request.